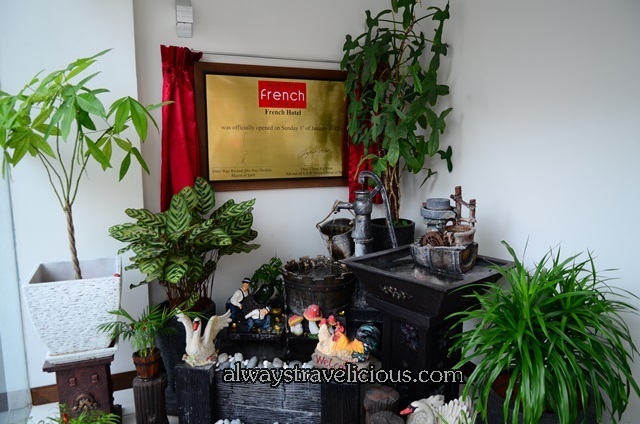 French Hotel @ Ipoh, Malaysia - Always Travelicious ! 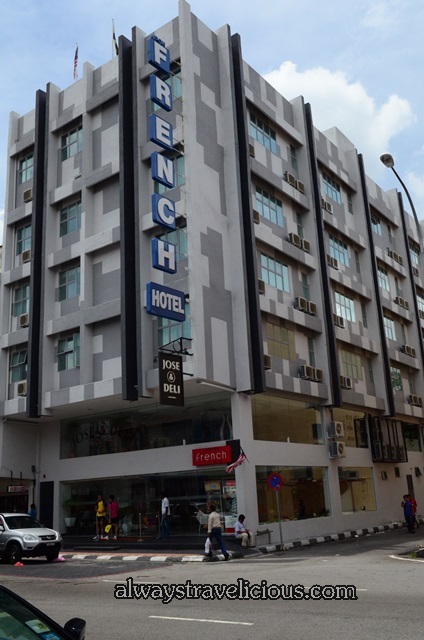 French Hotel, a fairly new boutique hotel in Ipoh with 48 rooms. We enquired about the hotel’s rooms and rates after eating at Jose & Deli Eatery that’s within the hotel. The lobby of French Hotel is bright with a 2-storey high ceiling-to-floor glass panels, allowing natural light to flow in from all angles. 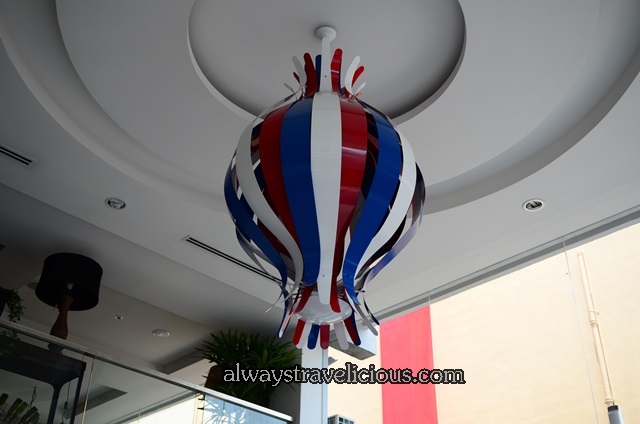 An oval decoration on the ceiling adds a bit of “French-ness” to the hotel. The receptionist is friendly and helped us arrange the room for viewing. The Super Deluxe room (RM 178) is extremely spacious, with a king sized bed, a nice corner to enjoy coffee, and a rather large table that would be suitable for anything – for work, or as a dressing table. The room, in fact, is slightly too spacious that the TV wall is a bit barren, but not necessarily a bad thing. A bit of a minimalist feel actually. The overall mood of the room is cheerful, with the use of chairs with vivid colors, and simple green pictures to accentuate the wall. 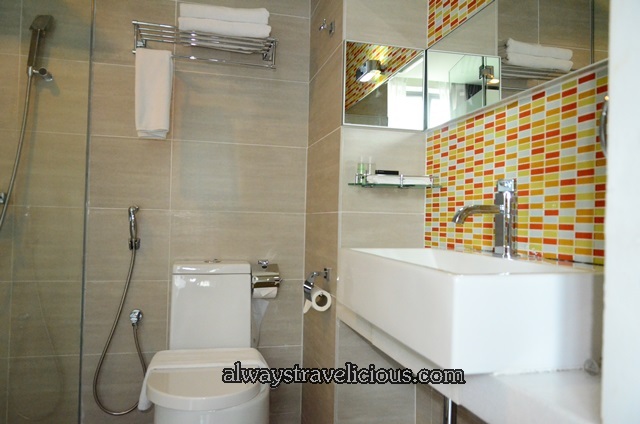 The bathroom is jolly with orange and red mosaic tiles. Clean and well maintained. A little fountain corner at the lobby of the hotel. 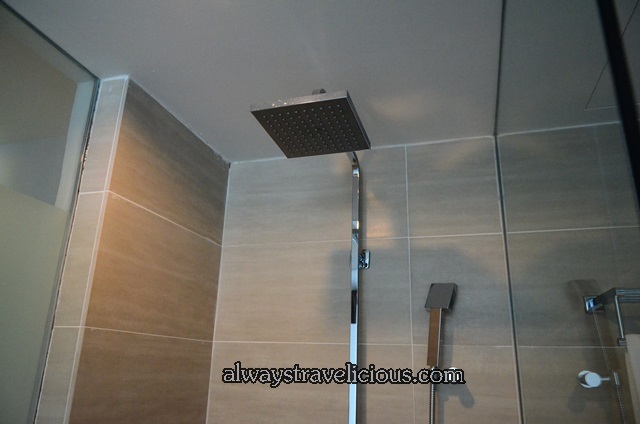 Address: 60-62 Jalan Dato Onn Jaafar, 30300 Ipoh, Perak, Malaysia. 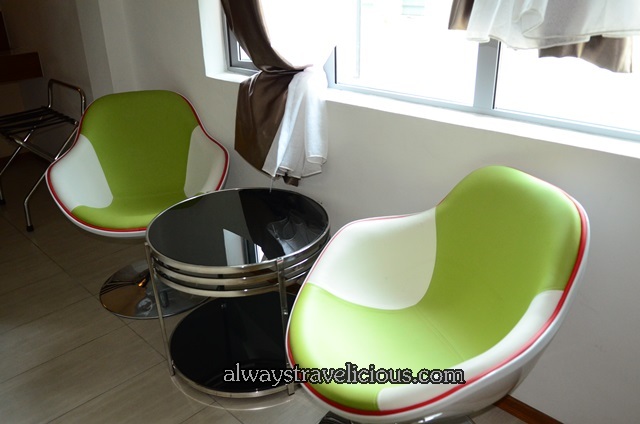 French Hotel Room Rates: from RM 138 – RM 178, not inclusive of breakfast. Breakfast is RM 15 per person at Jose & Deli Eatery within the Hotel. 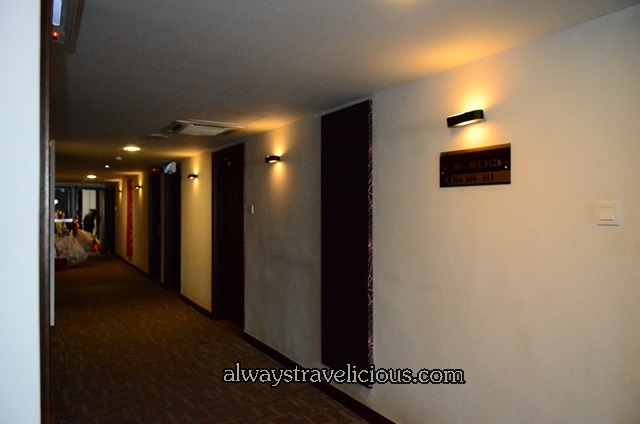 Pingback: Jose & Deli Eatery @ Ipoh (French Hotel) | Always Travelicious ! Pingback: Khizanat Cafe @ Ipoh (Opposite French Hotel) | Always Travelicious !